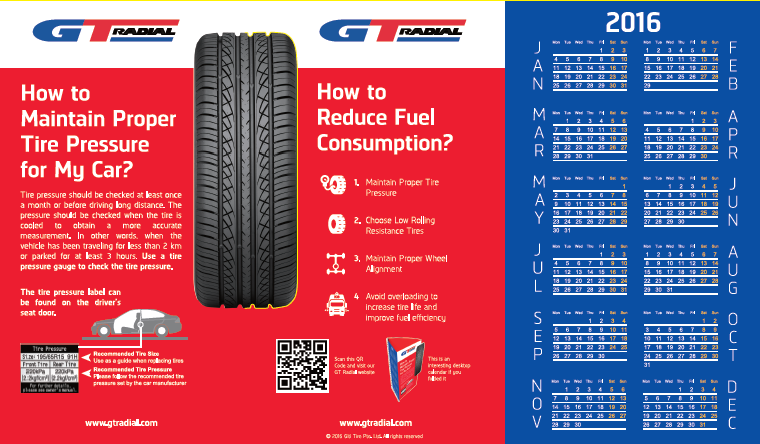 GT Radial is providing a 2016 DIY desktop calendar, which is very easy and fun to make. You can download the design, print, and fold it. Then submit a photo of the calendar for a chance to win an iPhone 6S or one of 3 special GT Radial prize packs. Let’s start! Step 1: Download the design and print it in color on A4 paper. Regular A4 printer paper (100 g/m²) will be fine, but heavier paper (160-180 g/m²) will result in a more robust calendar. Set the paper orientation as landscape. 2 pages of paper are required, one for the front image and one for the back, and you can glue the 2 pages together. Step 2: Cut along the solid lines and fold along the dashed lines. Glue the tabs matching the un-tabbed face, as shown above. Step 3: Fill in the below form and submit your calendar photo. Each month, one random submission that follows the requirements will win a free amazing prize pack from GT Radial! The grand prize winner for an iPhone 6S (64GB) will be selected after the campaign is completed on June 30, 2016. Complete the simple form above to have a chance to win a great GT Radial prize pack each month, or an iPhone 6S at the end of the promotion! 3 GT Radial Prize Packs and one iPhone will be awarded in all. The winners will be randomly selected from eligible entries (meaning that the calendar was completed as described and photo properly submitted). Employees of Giti Tire and their immediate family or household members are not eligible to enter. One submission per person is allowed. The contest is void where prohibited and applicable to local regulations. Personal data of participants is gathered and processed in accordance with applicable data protection laws. By submitting your entry, you are allowing to potentially receive e-mail from GT Radial relating to the promotion and the marketing of related products and services of GT Radial. Any e-mail would have the opportunity to opt-out of all future mailings. Your information will remain private, and will NOT ever be shared with or sold to any outside parties. GT Radial (Giti Tire) will make every reasonable attempt to deliver prizes won. In the event that winner does not reply within seven (7) days of contact, their entry will be invalid and another winner will be chosen. 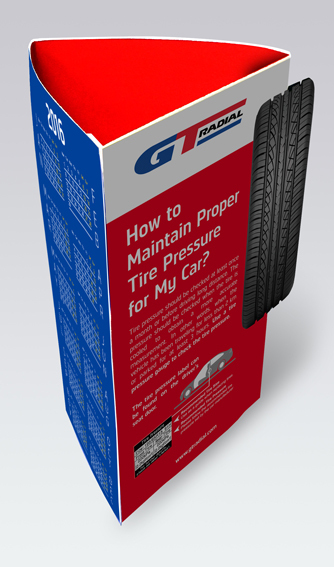 GT Radial (Giti Tire) has the ability to amend this sweepstakes, prizes, and rules at any time.